This is an extraction and fractionation system which can be used for the separation of higher value materials from a range of dry solid materials. This method of extraction is commonly used for the removal of caffeine from tea and coffee. 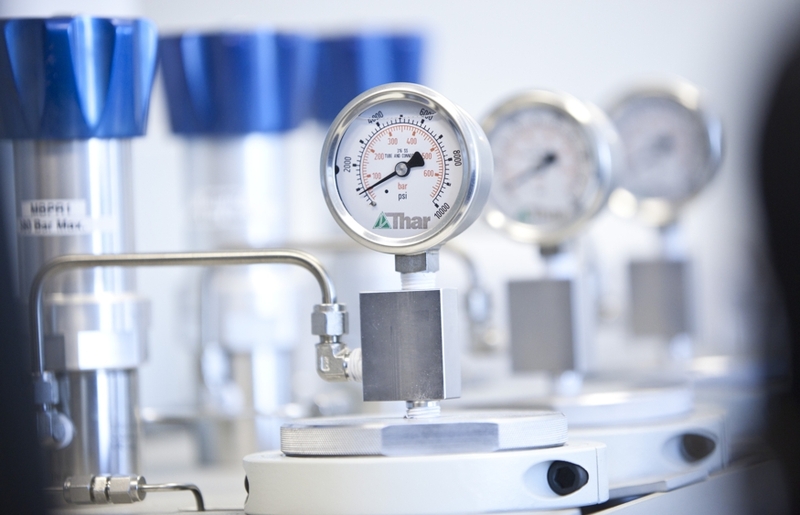 Employment of carbon dioxide at sub- or supercritical conditions allows the extraction of materials such as waxes, lipids and secondary metabolites. In its supercritical state, carbon dioxide achieves high mass transfer rates, and consequently high extraction yields. Product recovery is simply achieved by release of pressure, without leaving solvent residues. This system comprises two extraction vessels with a combined working volume of 10 litres and it is capable of running at pressures up to 600 bar. To learn more about how our supercritical carbon dioxide system can be put to use, speak to our extraction specialist Mark.